The Satellite team make their return on the scene with a new EDM (electronic dance music) download site that provides 100% curated music and unique features that offer DJs and producers a way to shop online in the same customized way they would shop at their favorite record store. 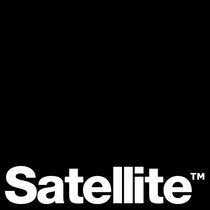 SatelliteEDM is the brainchild of the original Satellite partnership, owners of the NYC, Boston and Atlanta Satellite Records stores and website from 1993 - 2007. Now they are continuing their legacy as a resource for dance music. "We saw that there were great tracks going unseen or unheard on other EDM download stores. So many quality tracks end up buried on the new release lists. Because of this trend, we felt compelled to launch a new store where good music is hand selected and put at the forefront," explains Scott Richmond, co-founder and CEO of SatelliteEDM. "At SatelliteEDM, we have over 20 content managers going through each and every track, hand picking them by their quality and giving it that personal touch that's been missing since things went digital. Everything we're offering is based on quality, not name or politics and ultimately, that's how you find the new big names." 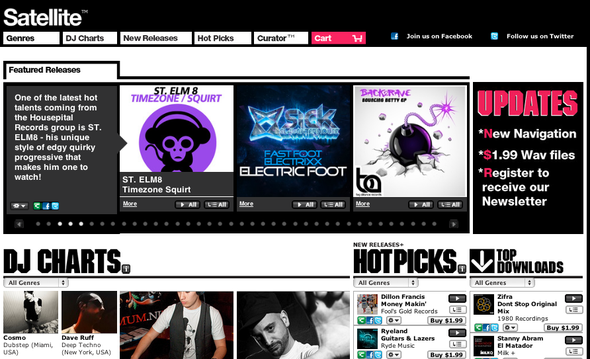 Hot Picks - SatelliteEDM's way of showing you the best tracks based on their musical quality. It doesn't matter if they are made by the biggest producer or someone a customer hasn’t heard of yet. If it's a hot pick, SatelliteEDM buyers have deemed it a quality track. Curators - Top tastemakers in their genre, provide recommendations in their genre specialty the day of a track's release. The curators have new recommendation lists each and every week. Customers can utilise these curator lists in the same way they would rely on that special salesperson who hands them the stack of records they know the customer will be interested in. Satellite Music Player - Recreates the experience of auditioning a track at the record store by allowing customers to drop the playback needle anywhere on the track. The player also maintains a playlist and history of what customers have played to help them keep track of all the new music they've discovered. Tabbed-Browsing - Wander the store with reckless abandon, just like digging through the crates. In addition, any track can be expanded with one-click from wherever the customer is browsing so that he or she can see all the tracks in a release without having to go to a new page or reload the page in their browser. Users can click on artists, labels, and genres and not lose their place where they are currently browsing. Genre & Sub-Genre Shopping - Drill in to the specific genre or sub-genre of interest. SatelliteEDM’s extensive use of dynamic HTML means fast page load times so shoppers can quickly hear more and more music! Featured Releases Carousel - Customers can audition them and check the rest of the site out without leaving the page! DJ Charts - Featuring far more information about the DJ than anywhere else with their bio, location, picture and the DJs comment about why each track is on the chart. Customers can truly get to know the SatelliteEDM DJs by checking them out, learning more about them and connecting with them through social media.